Lock in a great price for Elephant Court Thekkady – rated 8.8 by recent guests! Had a great stay with the family. The staff were super friendly! Very warm reception at check-in. Indian breakfast spread. Comfortable breakfast bed. The staff were superb. 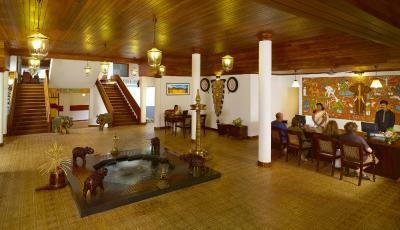 From checking in to recommending safaris to the waiters at the restaurant, everyone was attentive and hospitable. 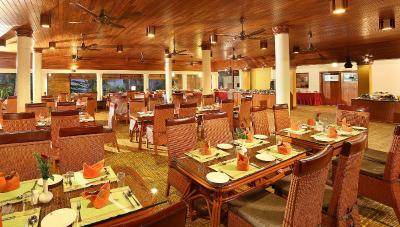 The buffet breakfast included both continental and Indian options. 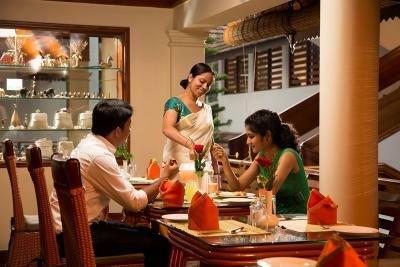 The waiters did a fabulous job in recommending traditional kerala dishes from the menu. We will definately stay here again. Staff were excellent and well trained. Good water pressure and hot water. The hotel was neat and clean. The staff members were very friendly and caring. 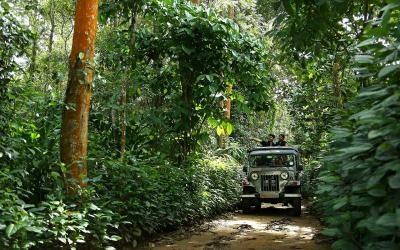 The Staff was the best, the arranged everything for us, from the tours in the park to driver for the following day... Fantastic Service! Really Recommend it! Everything was perfect. One of the best service experience we've ever had. Literally make you feel like a queen (and king) from the moment you check in and they greet you with Jasmine flowers and drinks, until the moment you check out and the whole staff is lining up to say their goodbyes. Amazing! 1) The welcome and farewell was very warm.We felt as if we are visiting our family. 2) Breakfast was yumilicious. 3) Very cooperative and responsive staff. Elephant Court Thekkady This rating is a reflection of how the property compares to the industry standard when it comes to price, facilities and services available. It's based on a self-evaluation by the property. Use this rating to help choose your stay! 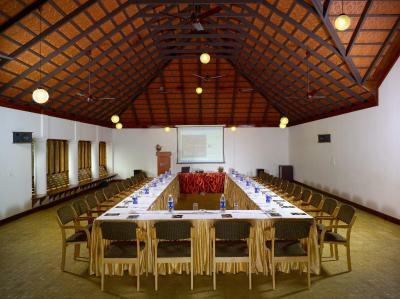 One of our top picks in Thekkady.Peaceful and scenic, The Elephant Court in Idukki is spared over 4 acres of landscaped hills. 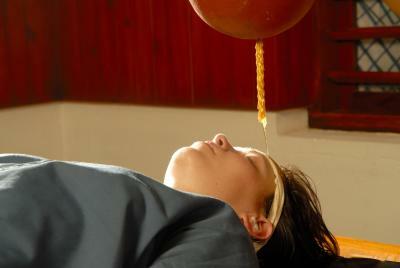 Just 800 feet from Ambadi Junction, it has an outdoor pool, pampering spa treatments and a gym. Wi-Fi is free in public areas. 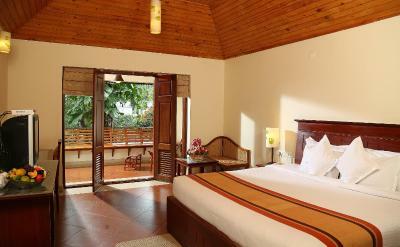 Enjoying views of the garden, the well-designed rooms feature teak furnishings, a cable TV and a personal safe. Some units have a sofa or a hot tub. Private bathrooms all come with a bathtub, hairdryer and free toiletries. 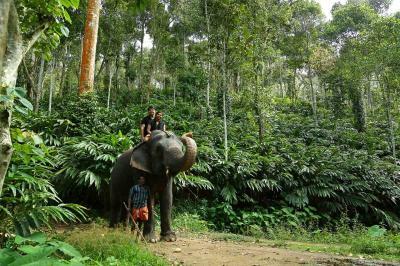 The Elephant Court is 68 mi from Kottayam Bus Station and Railway Station. Cochin Airport is 115 mi away. On-site parking is free. 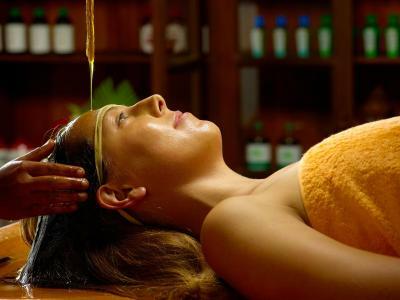 Guests can enjoy traditional Ayurvedic treatments at Ayur Hasthi Spa, spend quiet moments at the Yoga/ Meditation Area, or enjoy views of the Wild Life Sanctuary from the rooftop. 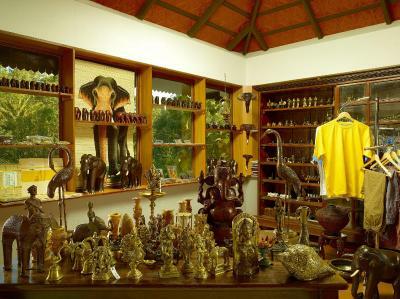 A tour desk and souvenir shop are also available. 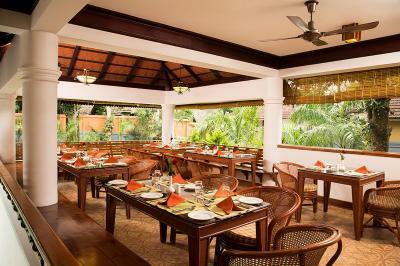 The on-site restaurant and coffee shop serves local Kerela cuisine, as well as other regional delights from India. 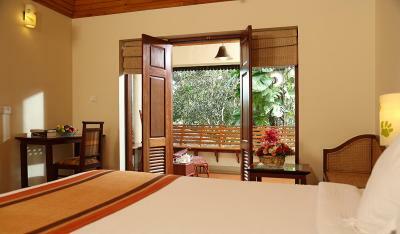 뀐 Located in the top-rated area in Thekkady, this property has an excellent location score of 8.6! 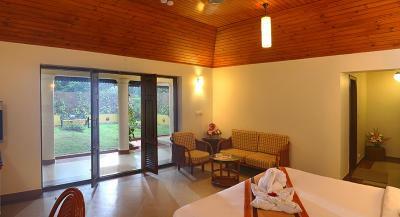 When would you like to stay at Elephant Court Thekkady? Enjoying garden views, this spacious room features a seating area with a sofa. Includes a cable TV, fridge and personal safe. Private bathroom has a bathtub. 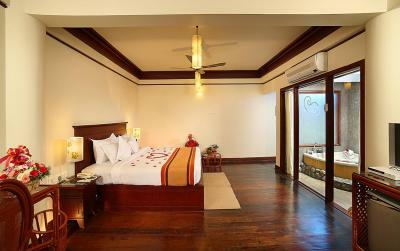 The room is richly decorated and features a wooden ceiling. 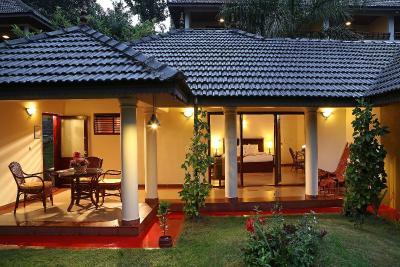 Featuring a private garden, this spacious suite has its own fish pond and veranda. Includes a seating area with a sofa, a cable TV and a personal safe. 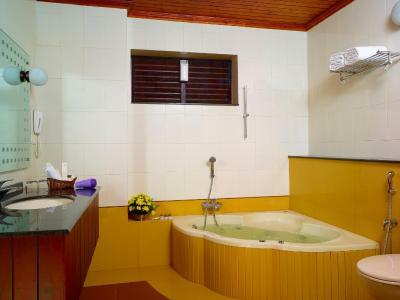 Private bathroom has a relaxing spa bathtub. Fitted with air conditioning and wooden flooring, this romantic suite has a small outdoor area with a private hot tub. Includes a flat-screen cable TV, a personal safe and fridge. 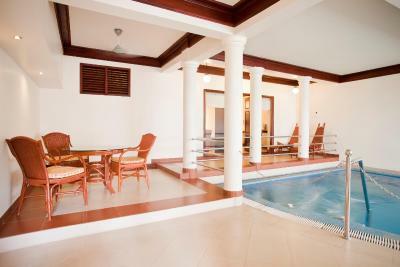 This luxurious studio features a private pool within its living room. Includes a seating area, a cable TV and a personal safe. Private bathroom has a bathtub. 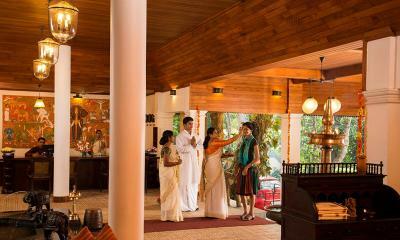 House Rules Elephant Court Thekkady takes special requests – add in the next step! 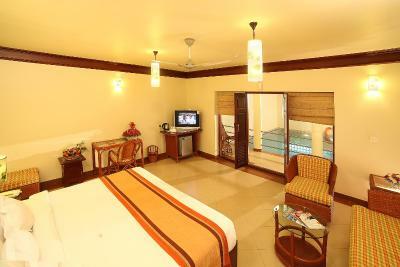 One adult is charged INR 2000 per night in an extra bed. 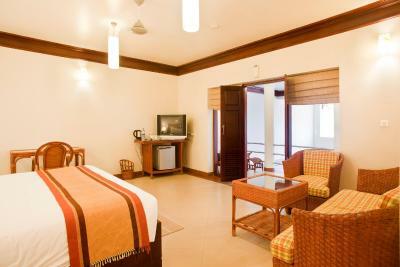 One child under 12 years is charged INR 1250 per night in an extra bed. 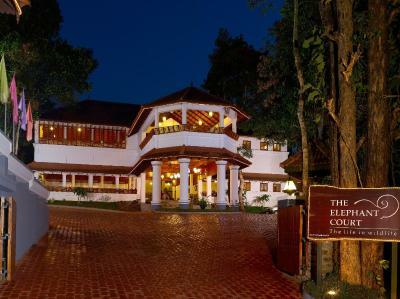 Elephant Court Thekkady accepts these cards and reserves the right to temporarily hold an amount prior to arrival. The staff were superb. They did everything possible to make the guest feel comfortable. Every single member of staff needs to be praised. Bath rooms do not match the standard of the hotel. Very nice terrace overlooking the garden. Ambience of the hotel over all very well done. TV channel choices were not available. DIrectly around the area it was a bit of a building site. It was not particularly family friendly except for having a pool and the few staff members that spoke to the children. It needs a few things for kids to do to help families stay. 2 ladies in the restaurant during breakfast were particularly attentive and very good with my young boy. One of the pool attendant was good and brought some things for my boy to play with. Breakfast was good for choices. IT services wasnt brillant but adequate and there was no TV choices at the time. Perfect service from every single employee. Huge, clean rooms. Good location. 1) Room does not have proper ventilation. 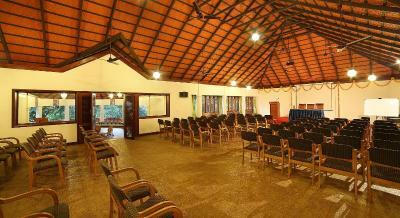 2) Rates are higher than other same type hotels. 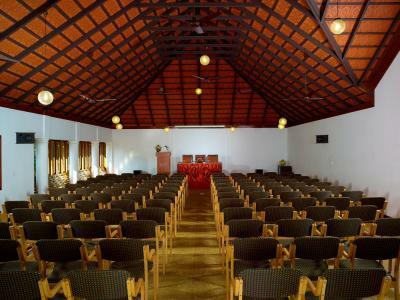 The rooms were spacious and well decorated, staff was excellent, food was great especially the buffet dinner and breakfast. Tried many authentic local dishes. The resort was in a good location and quite self contained to spend a day relaxing. One of the days of our stay there was also a cultural show organised which was great. The spa at the resort was excellent. We had elderly parents with us and the staff were kind to provide us with a wheelchair for the duration of our stay. Overall we were very happy with our stay and so were our parents. Would definitely go back and recommend to family and friends. 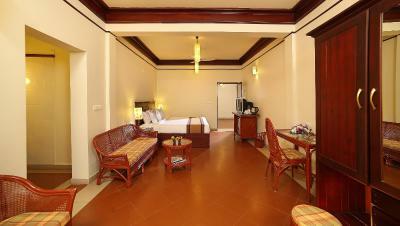 Staff pleasant and helpful, rooms clean and comfortable, good swimming pool, good food. Everything. 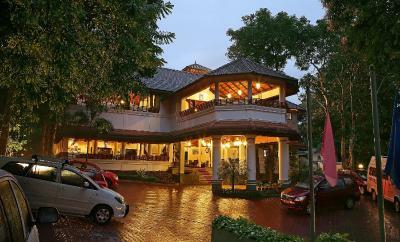 This is one of the best resort hotels i have visited world wide. 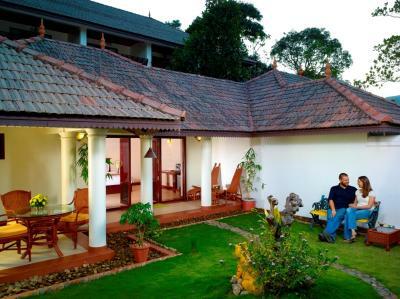 Its unique cottages amidst trees and green landscaping creates a serene yet dynamic environment.